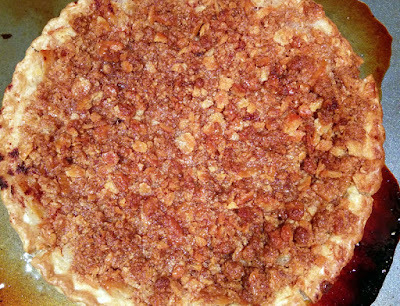 Thin circles of carbs enrobing a filling of sweet spiced carbs. Yum-o! That's pretty much the description of the mock apple pie. But trust me ... it tastes oh so much better than that sounds. 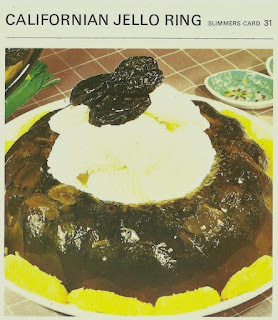 Lime Jello was like totally far out, man! Actually, this one didn't look so bad. It had everything I wanted in a retro dessert -- fruit, lime jello and easy. Especially the easy part. 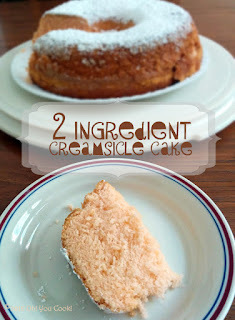 Can something called Creamsicle Cake, made with Just. Two. Ingredients be easy, delicious and company-worthy? Oh yeah, babe-ee!